Every application starts with bootstrap process which initialize application and wire it other with dependencies and configurations. AngularJs is not different from other application. It also starts application with bootstrap process. Following operation happens inside AngularJs bootstrap process. Create dependency injector and load dependencies. Compile HTML and create scope for application. All these steps happens inside angular.js scripting file. therefore we need to include it first. we can include it inside HEAD tag or at end of BODY tag. Adding angular.js file at end of body tag will allow browser to load of HTML elements without any delay and afterwards load angular.js and begin bootstrapping process. AngularJs bootstrap process happens on document ready event. lets see the simple AngularJs example. $scope.title = "Angular Bootstrap Tutorial!" 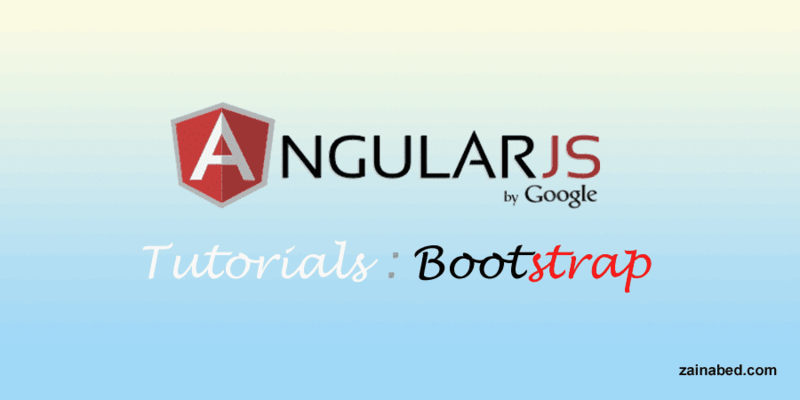 Now lets look into AngularJs bootstrap process steps one by one. AngularJs will look for module name which is associated with ng-app directive inside HTML page. After first step AngularJs will create injector and compiler objects. functionality of compiler object is listed in third step. Here injector object will look for dependency of application module. In above example we have not specify any dependency. These dependencies are nothing but angular modules. injector load this modules and allow them to be used inside angular application. Services can also be injected on fly inside application controller or application services. in above example $scope is injected by injector inside controller and we can use it inside controller. Inside last step AngularJs compiles HTML elements using compiler object then creates scope for application and bind rootScope to html element where we have specified ng-app. In above example ng-app is specified inside body tag which means rootScope is attached to body tag and all template logic get applied on this body tag. Following script snippet shows manual bootstrapping process. As stated earlier bootstrap happens on document ready event therefore you need to configure it first. Then call angular.bootstrap function which will accept two parameters. First parameter is html element e.g. document, html, body or particular div. this process is equivalent as specifying ng-app directive to HTML element. Second parameter is AngularJs module name. in this case we have give myApp. Note that you first need to add module scripting code then initiate bootstrap process otherwise bootstrap will throw error that unable to load given module. With automatic or manual bootstrap, you are ready to create beautiful AngularJs application. Great blog. Inspired me a lot. Thank you.